SPIDER produces video related to its activities and events in different programmes and networks. 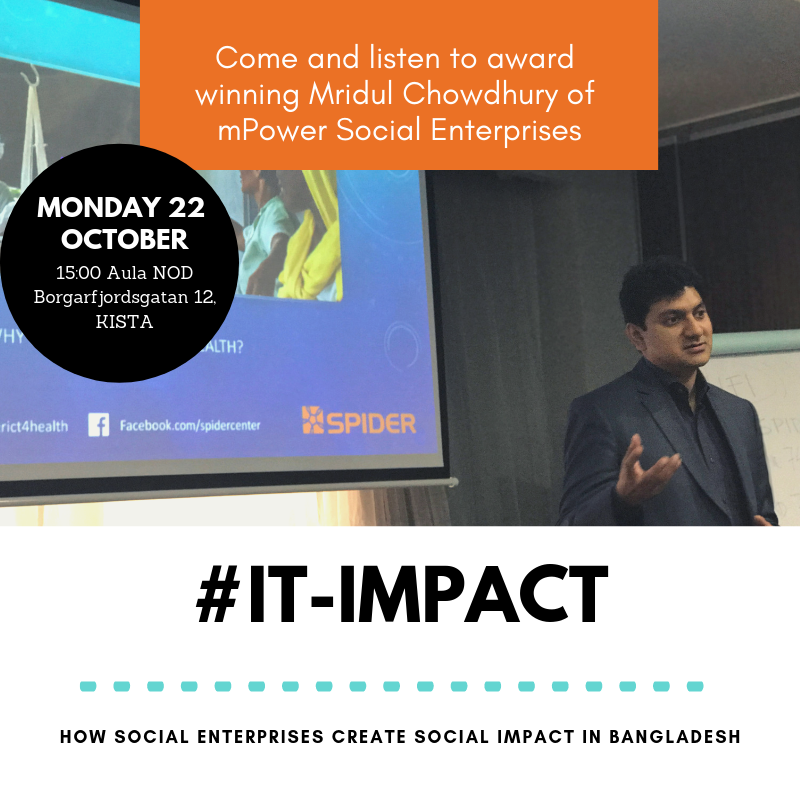 SPIDER is proud to present our partner, mPower Social Ent. of Bangladesh. Hear award-winning social entrepreneur, Mridul Chowdhury talk about scaling IT solutions that enable better national health, localised AI, human centered design and innovative operational models that ensure food security to millions. Our publications are available here for download (as a pdf). Contact us if you want a physical copy. 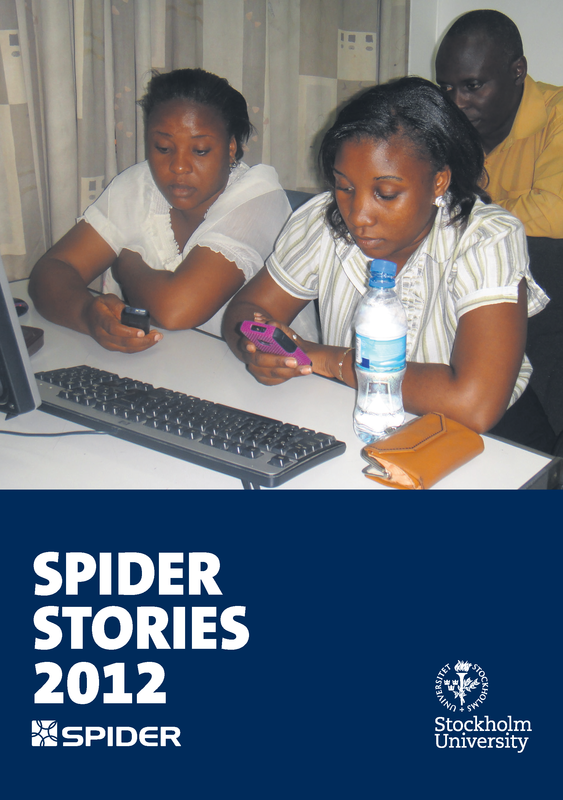 SPIDER Stories was created to complete the formal reporting with voices from the persons involved in the projects. 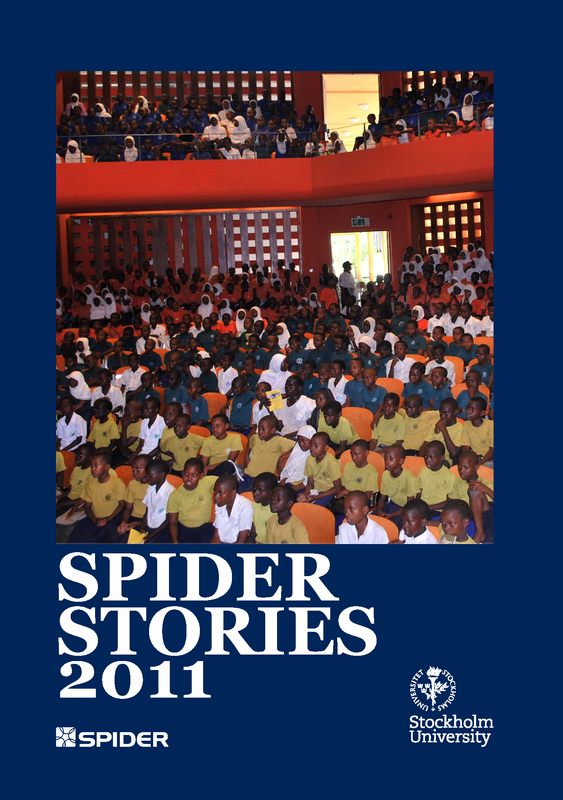 Each edition presents a diverse collection of stories from Spider project participants, co-ordinators and others involved in SPIDER projects in all types of settings. Click on the image if you want to download a pdf. Using mobiles and an IVR system to improve the lives of diabetes sufferers and mothers to be in Cambodia, SMS reporting system for human rights violations caught a person trying to escape justice. Open Access Journals improve the work of doctors. And much more. Collecting open data to ensure information is publicly available. Using Facebook to blow the whistle on greedy parliament members. Giving ICT skills to communities so they can report service delivery failures. A poem celebrating the importance of water for life. And much more. A reminder not to judge a book by its cover (or a group by its name). Citizen journalists investigating why taps had gone dry. Using music to combat corruption. Exploring the conditions for mobile governance in Kenya. Are ICTs of relevance to the rural poor? And much more. 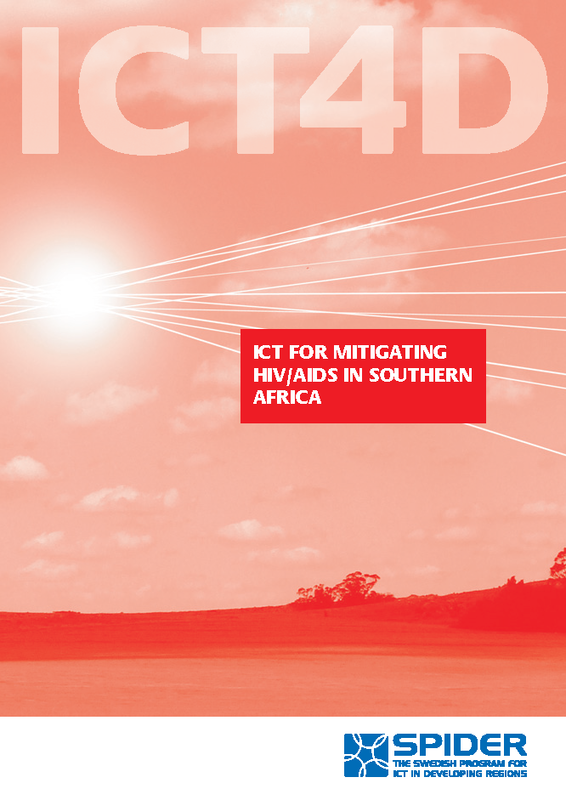 The first ICT4D Series was published in 2007. These publications discuss how ICT can be used for development in numerous ways. Each volume has a theme, most of them are anthologies. 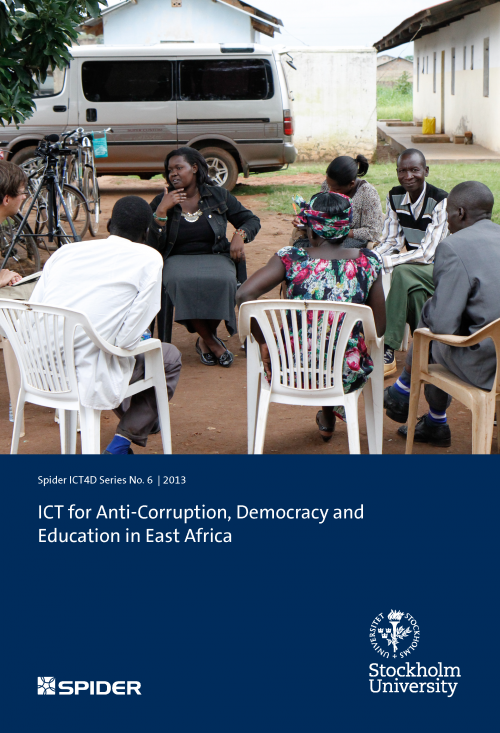 The authors have a common interest in ICT for Development and bring perspectives from different academic disciplines. Click on the image if you wish to download a pdf. Closer collaboration between researchers and practitioners gives ICT4D research with experience from project implementation reality. It also allows practitioners to draw on expertise that surpasses a particular project. The combination of research and practice can also improve ongoing activities. The mere shift of perspective or alternative experiences can deepen the understanding of both practitioners and researchers and inspire both to look at their work with new eyes. 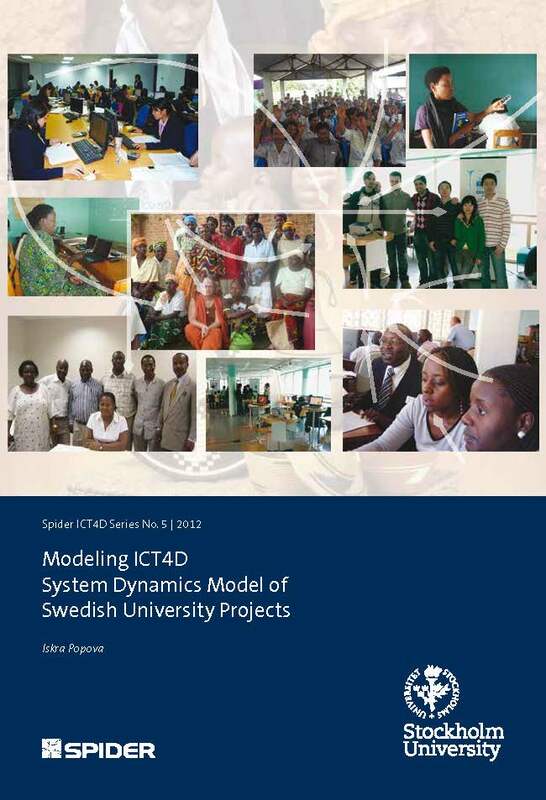 This publication analyses the ICT collaborations projects with Swedish partner universities between 2007-2009. It looks at similarities, and offers an alternative way of interpreting the outcomes. The discipline of modeling and simulation is suggested as a complementary or alternative method for the monitoring and evaluation of ICT4D projects, with the System Dynamics model of the projects used as a proof of concept. There are several initiatives that focus on addressing the access and use gaps between men and women; much can be learned from the different approaches to gender and overall ICT for development (ICT4D) outcomes. 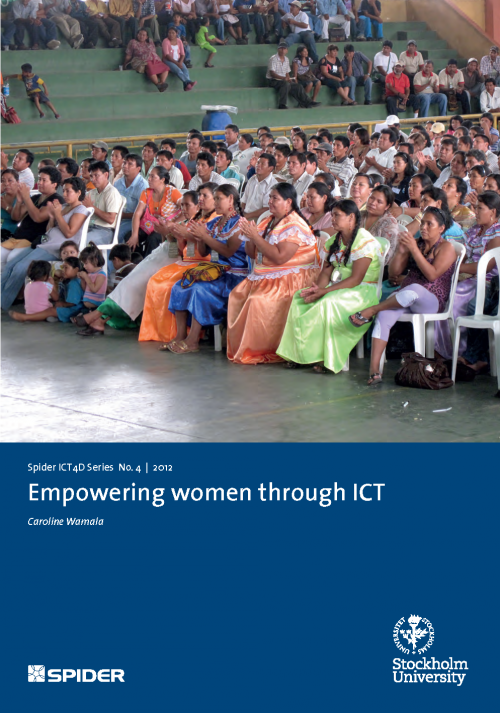 This publication gives an account of Spider projects that were the result of an open call in 2008 for projects using ICT to empower women. 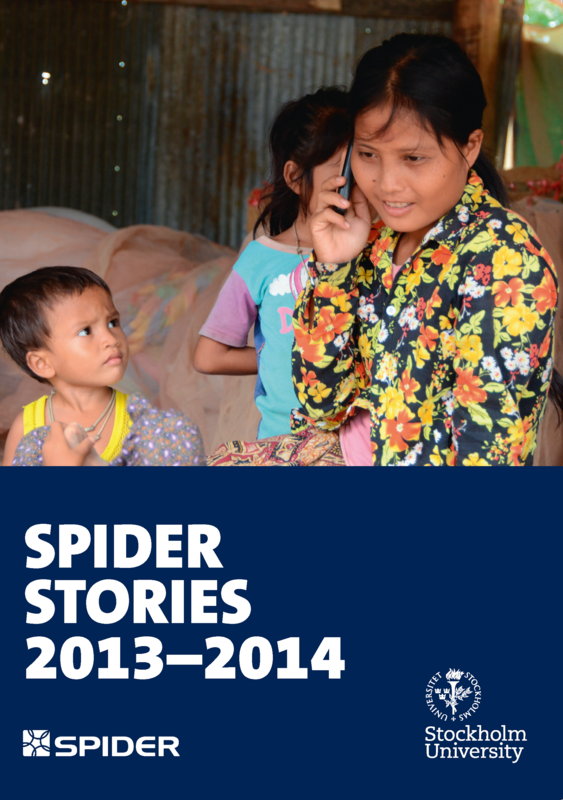 An account of the Spider supported projects is given, along with a gender analysis of lessons learned. ICT facilitates the collection of digital footprints and a complete audit trail. This can hold individuals accountable and ultimately increase the possibility to detect corrupt practices. ICT can facilitate information sharing and social mobilization if citizens can report incidents anonymously. 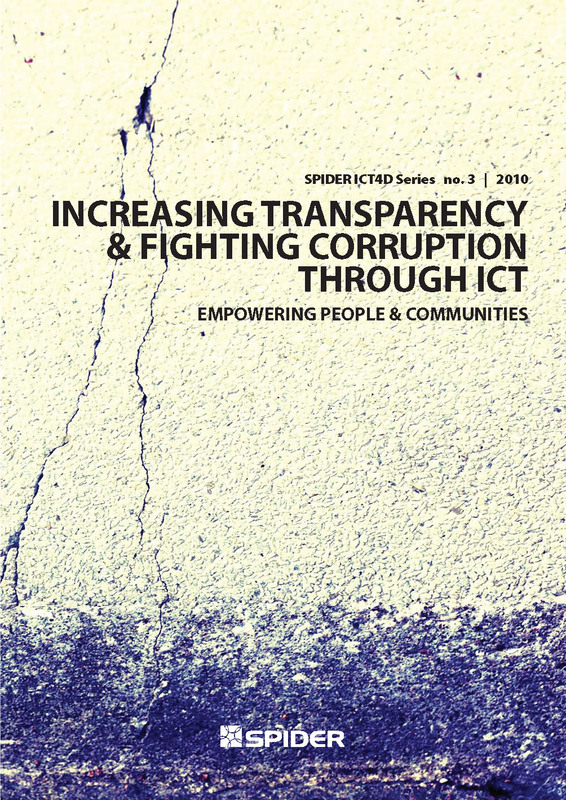 These and other possiblities for using ICT to increase transparency are explored in this publication. 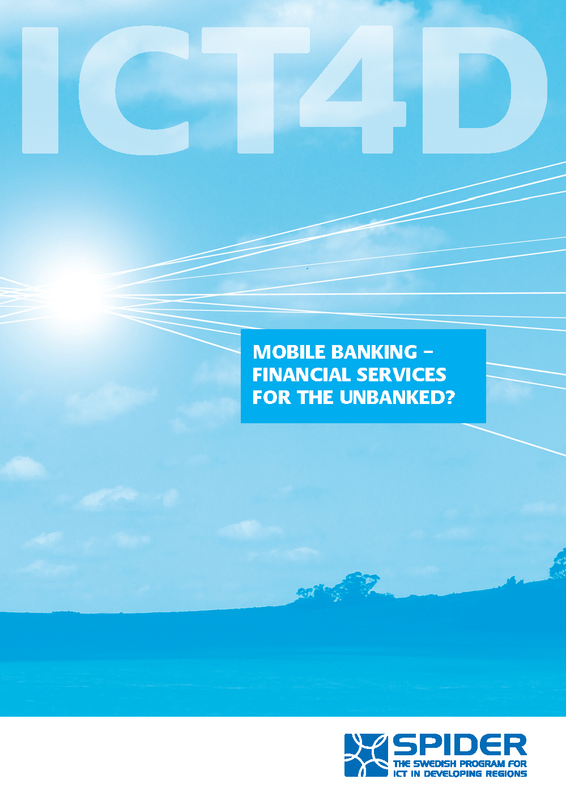 Mobile banking – financial services for the unbanked? What conclusions could be drawn regarding mobile banking in sub-Saharan Africa in 2008? What will be necessary to provide banking services for those excluded from traditional banking? 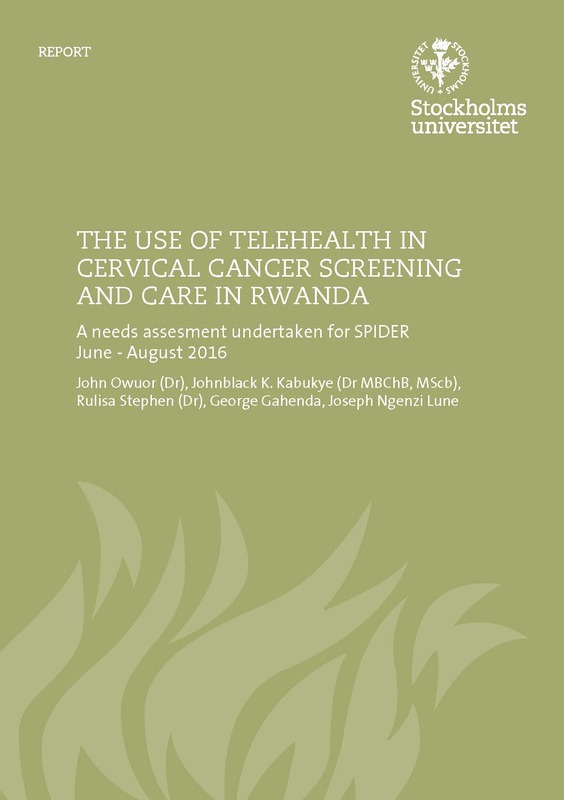 This publication is a result of a SPIDER commissioned study performed in 2008. It provides a snap-shot of the situation and analyses the possibilities and the prerequisites for broader diffusion of M-banking. Social responses of fear, denial, stigma and discrimination affect persons living with HIV/Aids. 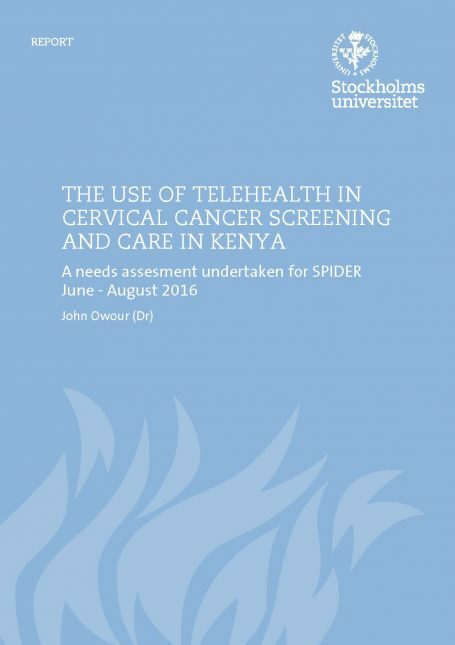 ICTs offer an opportunity for accessing medical information without disclosing your identity and to form support structures that exceed geographical boundaries. 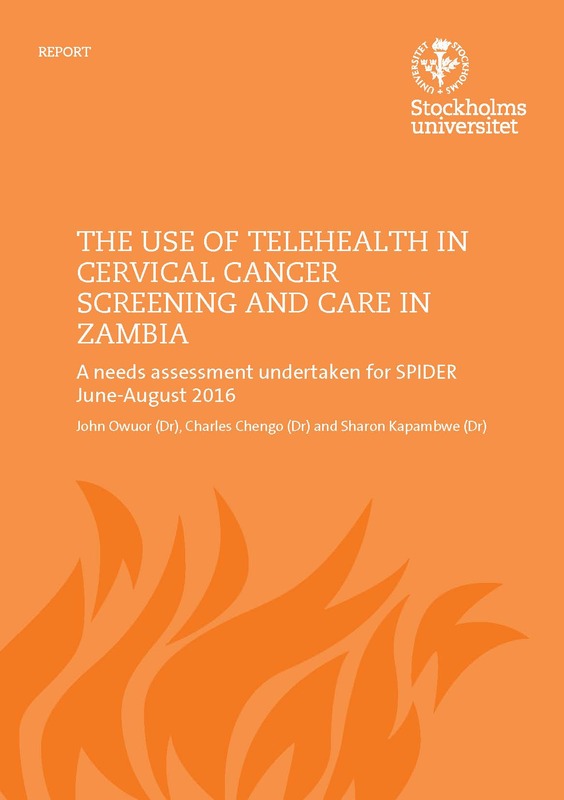 This publication is based on a study made in 2005 in Botswana, Mozambique and Zambia.